Her thoughts are echoed by a recent Deloitte’s Millennial Survey 2016, where 52 percent of Millennials surveyed in India say: If given a choice, they expect to leave their current employers in the next two years. Millennials are moving away from the age-old ways that exist in the Indian corporate culture where fulfilling orders by their superiors and working more hours is a matter of honour. Research says India is one of the three countries that saw over three quarters of their Millennials likely to seek a change in employment. These figures are based on a survey done on Millennials corporate behaviours where Indian Millennials ranked ‘opportunities to progress’, ‘taking on leadership roles” and ‘an exciting work setup’ as their top reasons to work for an organisation. A major fact revealed that nearly 69 percent of the respondents believe that in their current roles, their leadership skills are not being fully developed. This remarkable absence of allegiance represents a serious challenge to any business employing a large number of Millennials, especially those in markets—like India—where Millennials now represent the largest segment of the workforce. Today, Millennials want a career and not just a job. These young aspirants want a career that aligns with their values that includes giving back to the community that makes them feel more fulfilled in their work. For this, they need the right tools that will enable them to do their best work. Hence, companies should take this task head-on and evolve to meet their expectations. To attract and retain Millennials, companies need to face the reality and start thinking radically differently. They need to integrate modern technology into their operational approach. This doesn't mean companies have to spend a huge chunk of change on complicated workplace technology but to bring in Millennials-centric approaches into their work culture to ease out the inflow of Millennials into their organisations. Millennials will represent 40 percent by 2020 and will grow to dominate the workplace. One of the biggest concerns that companies face is creating a culture that engages, drives great work and retains these Millennials. Twenty-first century employees are different from other generations. Younger generation workers are not shy about telling you what they want. Their way of looking at the world and life is often misunderstood by later generation managers. They don’t buy into the concept of sitting at a cluttered desk 10 hours a day trying to look busy for a boss. They see a bigger picture, leveraged by technology. This means the ability to add meaningful value from anywhere at any time. Millennials ultimately want to do something that makes a difference and want to be recognised for doing just that. Nothing is more important to Millennials than doing work that matters. Millennials are on a constant search for meaning, and they’re demanding it more than ever at their jobs. Educating employees on the company ethics and what the company’s vision and mission are attractive to the Millennials and help increase the organisation’s chances to retain young talent. Millennials are a great resource to strengthen the organisational brand, but only if they believe in the overall message of the company. Any prospective millennial employees will first search about the company and if the business lacks digital presence, then the Millennials might be wary of it. Millennials expect digital relevancy and companies should not only look at ways to engage with their clients and consumers online but also with prospective employees as well. This would help in creating a strong understanding of the company's mission and culture. Strengthening the company's social engagement exponentially helps in increasing brand presence and loyalty among the millennial consumers and employees and adds an inimitable edge to the company. One of the important perks Millennials seek when evaluating prospective employers is training and development opportunities. Today’s generation demands professional advancements, and they hate a long wait to climb the corporate ladder. Companies should offer growth opportunities that enable these Millennials a swift dash to the top. Millennials need to know that they are not only being fairly compensated but that they also have room to grow in the company. While past reports of job-hopping Millennials may ring a warning bell, it is pertinent to give young employees a reason to stick around. 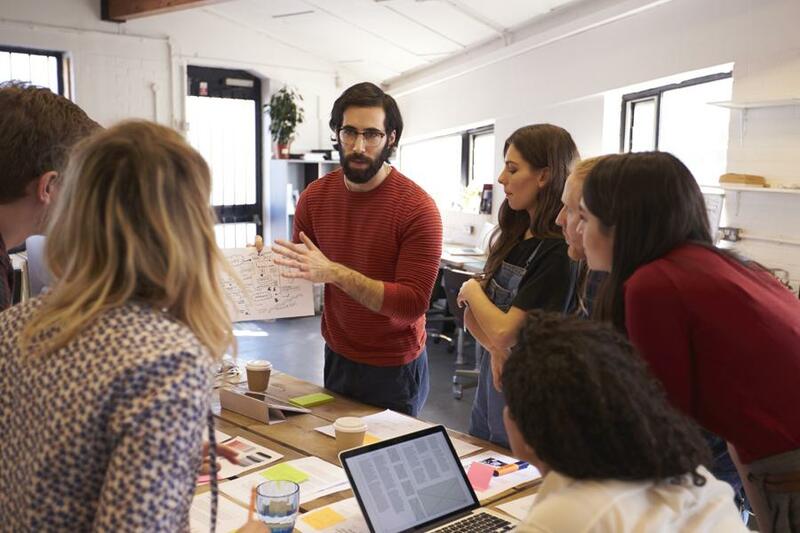 In a study by PWC, 44 percent of Millennials polled noted competitive wages as a motivating factor to go with an employer, while 52 percent cited growth opportunities which showcase the relevance of employee-building initiatives. Organisations should keep in mind that Millennials demand autonomy to do their best work. Today, where global businesses run with just a laptop and an internet connection, Millennials know success comes from putting in the effort to get outstanding results — no matter where they are, what they’re wearing, or what time they clocked in. Millennials don’t want to be chained to their desks, as they don’t believe that regular attendance will improve their performance. They prefer the ability to work remotely, whether that’s from home, their local coffee shop or some other location. Looking for constant connectivity with their co-workers and to the community, millennials are more interested in a work–life integration, blending professional and personal life together. In response to this, employers should provide flexible work perks and employee benefit programmes. Today’s employees want to have a flexible working day, without scheduled work hours, allowing them the freedom to plan their day and not to worry if they choose to take some time off in the middle of the day. Employers are becoming increasingly likely to allow employees flexibility around when and where work gets done, by remotely scrutinising performance and work quality. A workplace that adopts management best practices is an engaging place that is more likely to retain their emerging talent in a longer run. One such practice is ‘recognition’ and ‘engagement’, an important employee metric that allows for constant performance assessment. Today’s young employees are hungry for feedback, performance assessment, and professional development opportunities, and are hungry to learn and grow in their careers and get acknowledged. Hence they are subsequently more likely to feel stagnant and leave an organisation if the organisation fails to appreciate their talents and address their responses. If the company has a traditional hierarchy, it is suggested to flatten the organisational structure that ensures the Millennials have a voice. 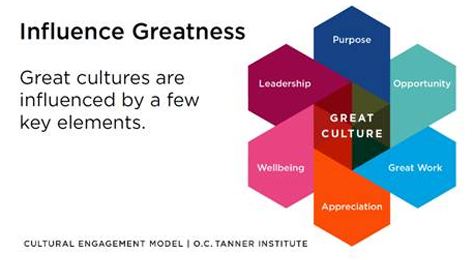 Millennials expect to be appreciated on timely basis, get constant feedback and have a room for improvement. This shall help highlight their accomplishments and value their insights that motivate them to go beyond expectations. Young professionals are willing to give a lot to their employers, and they expect a lot in return. Given the way we live and work, and the way work and life are integrated, it has become an attractive value-add for Millennial employees if the company can offer them work-family and lifestyle benefits. Today’s Millennials look for something that goes way beyond that simple food at work, a gym at the basement or travel allowances. Most organisations focus mostly on employee physical wellness and are missing the big picture by not understanding the difference between wellness and well-being. Three fundamental dimensions of wellness (physical, social, and mental) actually impact overall employee well-being. But surprisingly, the research uncovers a wellness paradox showing that mental wellness has a higher impact on overall employee well-being than either social or physical wellness. Companies would do better if they focus on creating an environment that improves mental wellness as well and empowers employees to be well at work. Strategically combining traditional benefits/perks such as salary, paid time off, and maternity/paternity leave with environmental benefits/perks such as open workspaces, networking and socialisation opportunities, employee recognition will lead companies in the right direction to impacting employee well-being. Millennials don’t want bosses. They believe in inclusive leadership style where collaborative efforts are valued and the aim is to work towards a common goal. If companies want to inspire this young talent, they must give them opportunities to build, create, innovate and lead. They’re not inclined to blindly follow the orders and believe in understand the larger picture. They prefer openness, transparency and diversity. - By Zubin Zack is the Director and Chief Recognition Strategist for O.C. Tanner – Global Employee Recognition and Engagement Company. Zubin has an experience of twenty years and successfully focused on designing and building sustainable businesses from the ground up. His mission is to shape and execute business strategies including creating awareness, building credibility and educating key business leaders. Are you ready for an IPO?